We all have a personal responsibility to take care of our own well being, however reports suggest that many of us, even after finding out about having a medical condition avoid telling the DVLA. Arguably one of the main reasons why many of us do not report having a medical condition is based on a fear of nullification of driver’s license. However, this is a wrong assumption – even if your license is suspended due to health reasons, you can regain it once your doctor declares you as fit to drive. Only conditions that are notifiable and presumed by a doctor to cause danger to someone’s driving ability need to be reported to the DVLA. You can see the full list of those health conditions on the Government website. Poor eyesight, same as serious health conditions can increase the likelihood of causing an accident and the number of drivers avoiding regular eye examinations is quite alarming. 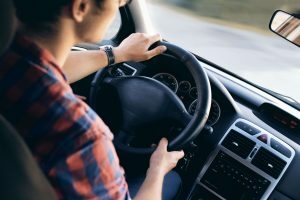 Why not have a look at our recent article about driver eye test statistics to find out more about the dangers of skipping eyesight examinations. It is worth noting down, that If you have been prescribed glasses and are unable to read number plates from a 20 metre distance without them, you will have to wear the prescription glasses or lenses of the same strength while driving at all times. If you cause an accident and are found to not be wearing your prescription glasses/lenses, you are likely to face a fine and lose out on your insurance claim. Avoiding to inform DVLA about a medical condition that affects your driving ability can result in a fine of up to £1000 and a possible prison sentence if you are involved in an accident as a result. Not only can you end up with a hefty fine, you are also very likely to be unable to claim insurance for the accident caused, as well raise your premium through the roof, so why risk it? Tell DVLA.